It was good to be the home team on Wednesday night in Regional Round action of the FanDuel Legends Classic. In Raleigh, NC State placed four players in double figures en route to a 79-56 win over IUPUI. Cat Barber led all scorers with 19 points for the Wolfpack. Maverick Rowan and Caleb Martin each posted 15 points and seven rebounds and Abdul-Malik Abu had 14 points and a game-best nine rebounds. The Jaguars were led by Matt O’Leary and his 17 points and six rebounds. Mason Archie chipped in with 11 points. 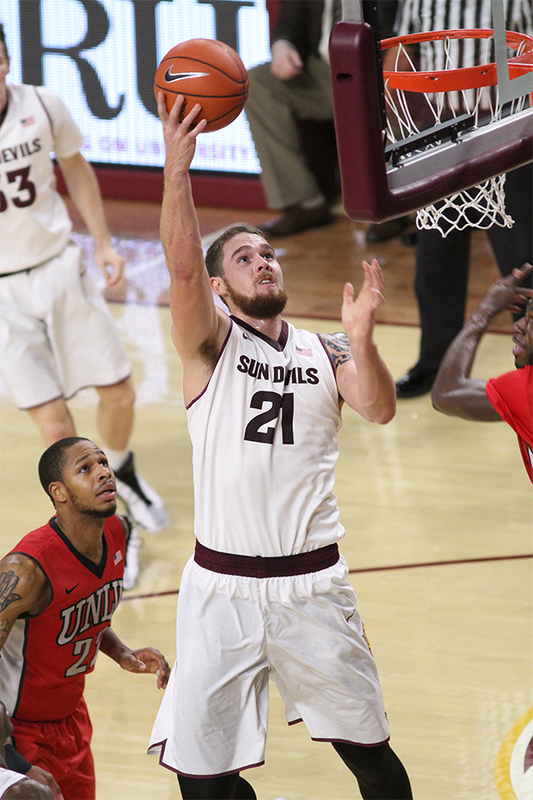 In Tempe, five Sun Devils scored in double digits as Arizona State downed Kennesaw State, 91-53. Obinna Oleka netted a team-best 16 points for Arizona State, which also received 15 points and 10 rebounds from Eric Jacobsen, 14 points from Tra Holder, 10 points from Willie Atwood, and eight points and a game-high 11 rebounds from Gerry Blakes. Kennesaw State was led by Nigel Pruitt and his game-high 19 points. Yonel Brown added 11 points for the Owls. Regional Round action closes on Thursday when LSU hosts South Alabama in 9:00pm (ET) tip on the SEC Network.